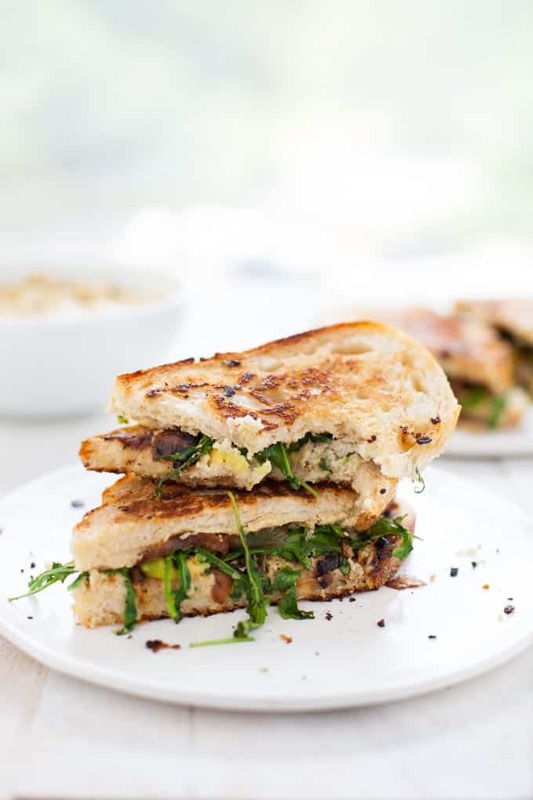 Cauliflower hummus is a new spread that’s sure to rock any sandwich – this drool-worthy grilled cauliflower hummus sandwich is packed with avocado, caramelized onion and arugula. Lunch never looked better. I recently discovered cauliflower hummus when I contributed to this Women’s Health Magazine article on the versatility of cauliflower and why this vegetable is having a serious moment right now. I was like hokay, lemme get this straight. I eat hummus every day of my life and you’re telling me there’s a “hummus” variation that I’m not aware of?!? #FoodieFail. So, naturally, I went on a mission to try cauliflower hummus and see if it was worth the hype. Now, let me be real for a moment here and preface this by saying there is absolutely nothing wrong with regular hummus made with chickpeas. I repeat, there is absolutely nothing wrong with regular hummus. I feel like sometimes we see alternatives to healthy food and automatically assume something is wrong with the original. Not the case here. Of course, if you’re following a paleo diet or low-carb diet, then cauli hummus would be an alternative that fits your diet. Otherwise, it’s just a fun variation to switch things up and add some more veggies to your plate. I wanted to make a recipe using cauliflower hummus that would give this new spread a good name. 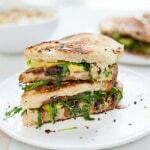 I love a good grilled sandwich for lunch so I thought that’s the money recipe. This sandwich did not disappoint. 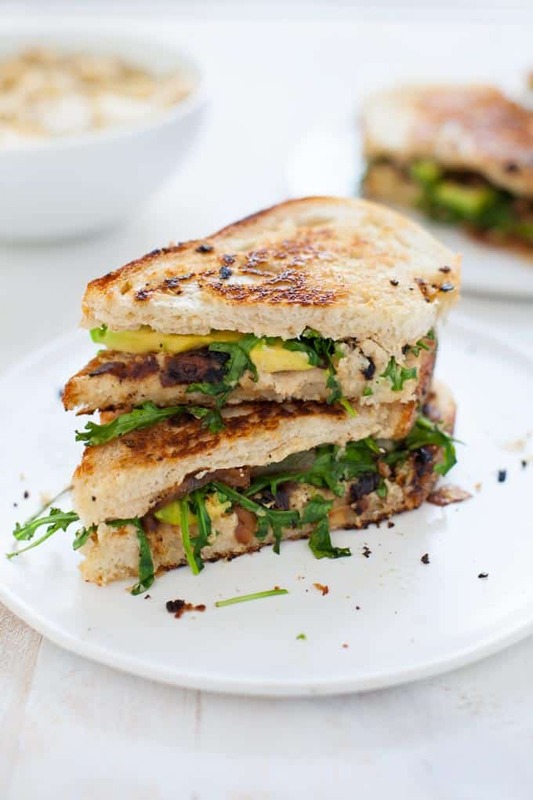 Loaded with a generous schmear of cauliflower hummus and piled high with creamy avocado, bitter arugula and sweet caramelized onion and then grilled in a pan to seal the deal with a crispy exterior. Drooling yet? I don’t blame you. These kind of lunches make me wonder why I don’t make delicious veg sandwiches more often. Usually I’m using up leftover veggies and making an egg scramble or a salad for lunch but I think this sandwich needs to be added to the weekly rotation STAT. So why do we love cauliflower so much to add it to basically every recipe we can think of? First, it’s flavor-neutral, meaning it will absorb the taste of whatever flavors you pair with it. 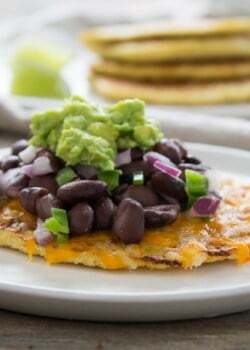 Second, it works with virtually any eating pattern you can think of: vegan, vegetarian, paleo, low-carb, gluten-free, etc. And it’s packed with nutrition: high in vitamin C, good source of folate and glucosinolates, sulfur-containing phytochemicals that have been shown to reduce risk for cancers. 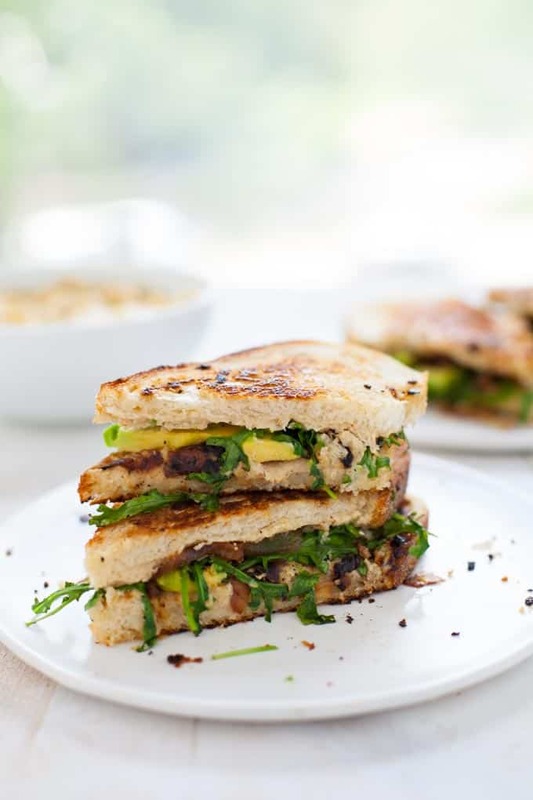 Shake up your lunch routine and try this veg-tastic sandwich. You won’t be sorry. Toss cauliflower with 2 tablespoons olive oil, salt and pepper. Roast cauliflower for 30 minutes, flipping over halfway through. In the meantime, heat 2 tablespoons olive oil over medium-low heat in a small to medium saucepan. Add onion and cook, stirring every 3-5 minutes or so, for about 30-45 minutes, or until onions have browned and caramelized. Feel free to deglaze the pan with a little white wine or vinegar to add more flavor. Add roasted cauliflower, tahini, lemon juice, garlic, 2 tablespoons olive oil and salt to a food processor and pulse until smooth and creamy. Heat buttery spread over medium-low heat in a large saucepan and transfer sandwiches to the saucepan to cover and cook for 3-5 minutes on both sides, or until golden brown. Serve immediately. THis looks so tasty! 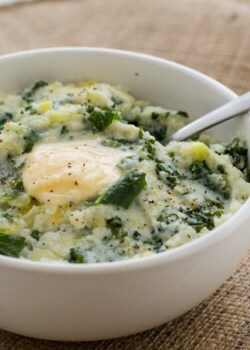 Great use of cauliflower! That is 100% my kind of sammie! I’ve made several different types of hummus recipes but never a cauliflower hummus. It sounds absolutely delicious! 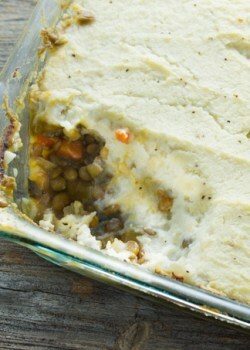 Putting this recipe on my list of things to make! Pinned!